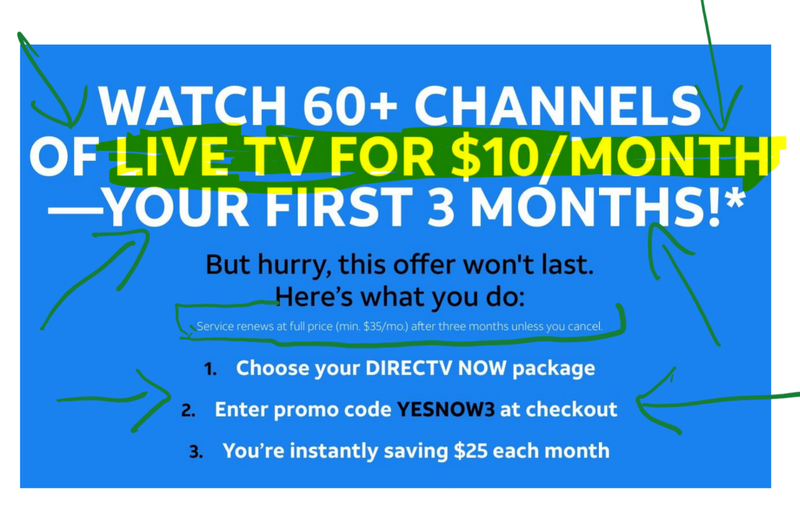 If you want to do a more long-term experiment to see if cordcutting is right for you, for a limited time, the Direct TV NOW streaming service (no satellite needed) is offering a promotion that gets you three months of their entry-level $35/month plan for $10 per month when you enter coupon code YESNOW3 in the shopping cart. This offer jumped up while I was surfing around their website. They don’t have a good DVR service like YouTube TV but DirectTV lets you add HBO for just $5 per month, and with Westworld Season 2 coming up, this combination may not be a bad idea! A new movie library syncing and playback service expanded out of Disney’s Movies Anywhere. It’s the new Movies Anywhere service that includes Disney along with four other major studios (Sony, WB, 20th Century, Universal). Movies purchased on Vudu, iTunes, Google Play and Amazon Instant Video, or Digital Copy or Ultraviolet movies redeemed through those services, from those participating studios, are now able to get synced across those services and also into the Movies Anywhere app/service. (which can also play those movies by the way – unlike that darned Ultraviolet mess). We have for you a step by step guide, with some screenshots too, on how to setup and connect Movies Anywhere. If you have any questions, please feel free to leave a comment here or there. For a limited time, in an attempt to encourage more people to sign up for the service, Movies Anywhere is offering up to five free movies if you connect one or two services to it. Comcast (Xfinity) has been taking the challenge from cable-alternatives more seriously lately. They launched their own Xfinity Mobile cellphone service, and now they are going after the various cordcutter streaming services like SlingTV and YouTube TV with their own service, “Xfinity Instant TV”. I am planning to try out most if not all of the various streaming services in the next few months. I’m waiting for them to improve their DVR offerings (except for YouTube TV everybody else is a disaster) or make Roku apps available and things like that. If you are ready to jump on the all new “Star Trek Discovery” bandwagon, and you missed out previous opportunities for a 2-week or better free trial on the “with commercials” plan, we have some alternatives for you! Currently most options, such as Web Browser sign-up, Roku and Android (Google Play) only offer a 1-week free trial on the Limited Commercials plan ($6/month), and no free trial on the $10/month plan which has fewer commercials than the Limited Commercials plan, but it’s not ad-free like Netflix. Yeah, live to the Old Media to find a way to twist “no ads” into meaning “fewer ads”. Bastards! One option for a discount is to sign up through Google Play using discounted Google Play gift cards. 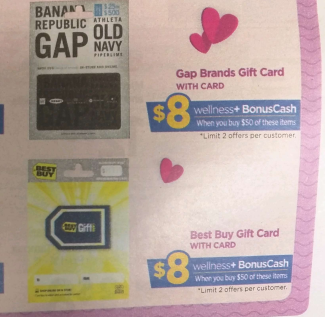 Pay for the subscription using your gift card balance, not a credit card. So the discount you find on the gift cards, is the effective discount you would get on the CBS All Access monthly subscription. If you have an Apple TV, some people are reporting that they are offered a 30-day free trial through that. I don’t have an Apple TV to verify that. 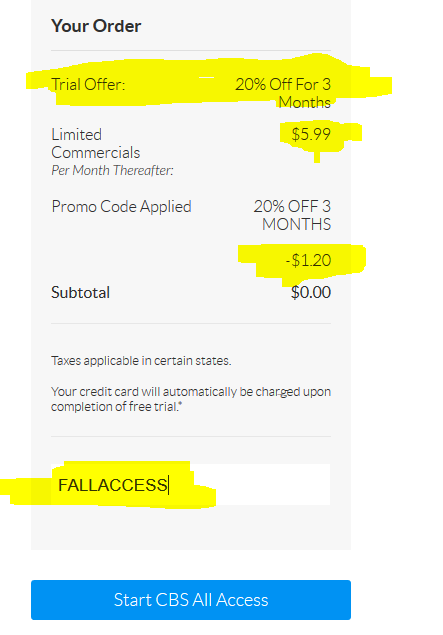 Another option if you are signing up with a web browser is to use coupon code FALLACCESS which is a 20% off discount during your first three months of service. 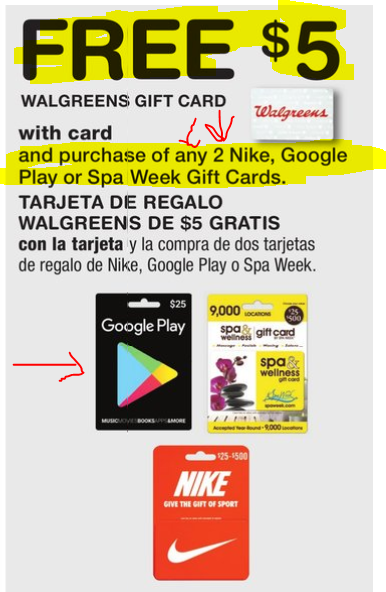 Sadly the coupon does not work on Google Play ~ which would have been an opportunity to stack the discounts. They have a lot of CBS content, and offer additional ways to watch that CBS content. So if you are a fan of CBS TV in general, or some of their older TV shows (they have a library of many things), along with a handful of movies (“Defiance” perhaps the most recognizable). For cordcutters, HBO has a rather generous 30-day free trial, but once they hook you in, then their monthly fee is $15, which for some may be too much, especially if you don’t watch every show and high profile movie they offer there. So, is there a way to get a discount for that? The answer is YES, but it is an indirect way of getting a discount. You sign-up and pay for your subscription through GooglePLAY. Why GooglePLAY? Because they allow you to pay for monthly subscriptions with your gift card balance. You don’t have to pay with a credit card or debit card. If you are a cordcutter, there’s a great deal this week at your local CVS stores! 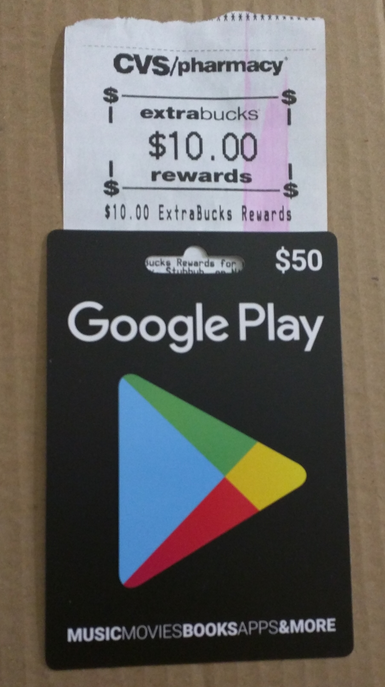 If you buy $50 in plastic gift cards from Netflix or GooglePLAY or Xbox/Microsoft, their cash register will print just for you $10 in Extra Bucks. When you do the math, this is a virtual 20% off discount! Limit one per customer. Offer ends Saturday night when the stores close (5/27/17). If you spend $15+ on SlingTV, paid with your AMEX card of course, you will receive a one time $5 statement credit. So to get this offer, all you need to do is paying for a month of the service. As usual, you have to first activate the offer by adding it to your card (see screenshot above). And needless to say, the AMEX Offers website must needs offer this option to you, because some of this offers are targeted or YMMV or limited activation quantity. With more and more companies entering the fray of internet TV (YouTubeTV is now live in five major cities, Hulu is next, Apple is pondering), streaming boxes become more and more valuable, and unlike the dreaded cable boxes that are typically old, slow and you pay for them monthly anyway even if you don’t own them, they are yours. 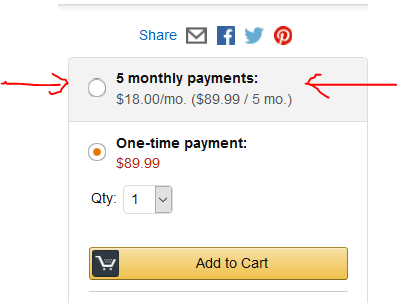 And if you want to spread the payments over, Amazon is offering (to some customers, YMMV, I don’t know if everyone sees this) a zero-interest five-month installment plan. They take the price of the Fire TV which is currently $90, they divide it by five, and they charge your credit card that amount ($18) every month for the next five months. Cordcutter deal alert! If you live in one of the five regions that are the first to launch the new YouTube TV streaming service, you are in luck! Google is not only running a 30-day free trial, but if you stick around after the free trial and pay for one month ($35 per month), you will receive a free Chromecast device. Given the price of the Chromecast, this is almost like getting two months for free! One sore point however is that you don’t have as much flexibility when watching on an actual television. You have to use a Chromecast or Android TV. There is no support for the wonderful Roku boxes or Apple TV or gaming platforms (XBox or PS4). I don’t know if they have plans to expand there or not. Having to use Chromecast (the hardware device) can be annoying because it takes up one HDMI sport AND it needed to be powered, so you either have to use a USB port on your TV or attach it to wall AC to USB power, or rotate portable power bricks (like the ones that power smartphones) to keep feeding it. Other than that, this is the best streaming service in terms of features. You get unlimited cloud DVR (that lasts up to nine months per recording), something none of the other services offer. You can link up to six Google accounts to one $35/month subscription. Three of those six subscriptions can watch live shows in parallel. That’s three live streams. There’s plenty of sports channels of the ESPN, Fox and Comcast variety, however, the deal killer for some NBA and baseball fans is that the Turner networks are NOT part of the package at the moment. NOTE: $35 per month is if you sign up with a computer or using Android devices. If you sign up through iTunes, Google passes YOU the “Apple tax”, you pay $40 per month instead. Good news Netflix users! In addition to the Black Friday Plenti offer, Rite Aid is offering another Netflix gift card offer for the week of November 6-12 in 2016 at their brick and mortar stores. 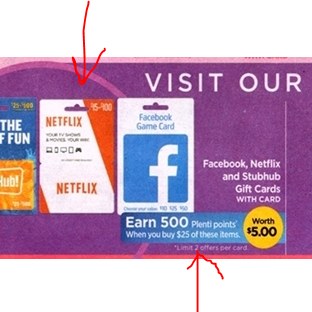 The amounts are different for this offer, buy a $20 Netflix gift card and get 400 Plenti points to use in the future. That’s a 20% virtual discount. The promotion is limit two per customer for the week. 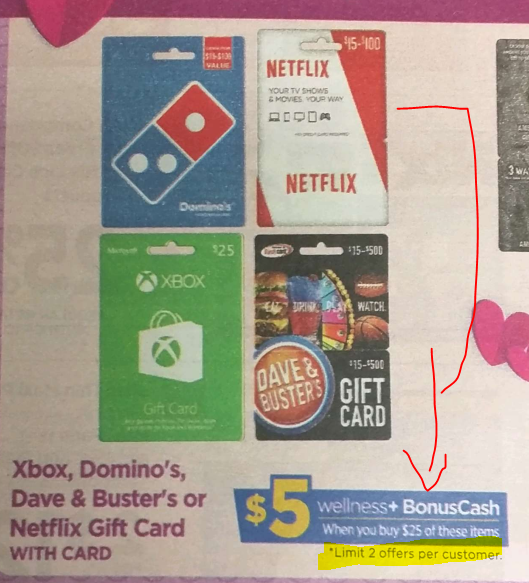 Typically they carry the $15-to-$100 Netflix gift cards, so you have to tell the cashier that you want $20 loaded on your gift card.